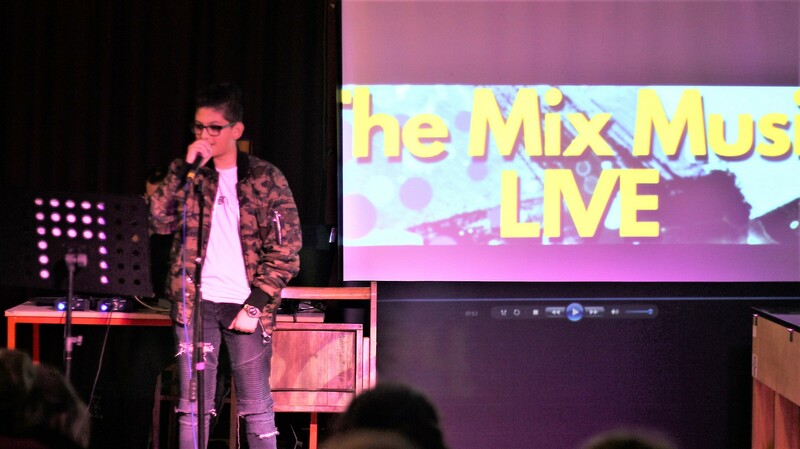 The stage was set in the Tin Music and Arts Centre, lodged in Coventry’s famous canal basin, Thursday 21 March saw Aptitude Youth Work host ‘The Mix Music Live’. Showcasing a heap of musical talent, and successfully switching genres, there was something for everyone from big beats and bars to soft – soulful singing. 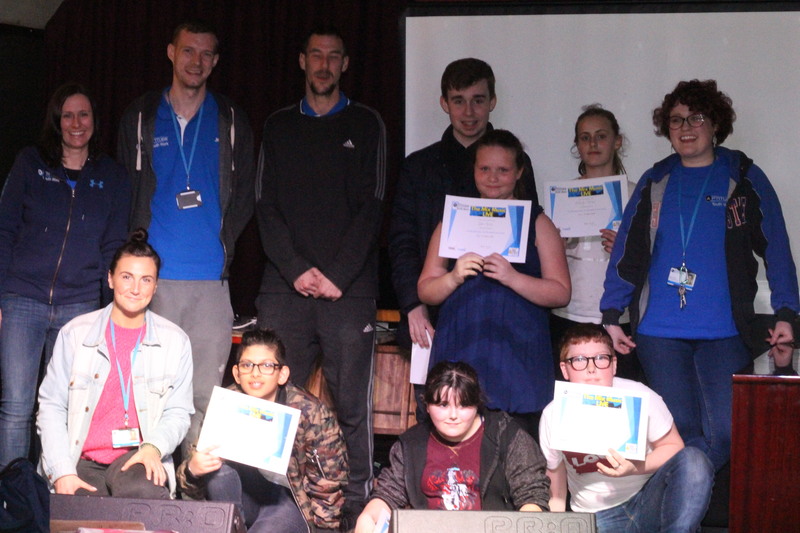 The evening was supported through the Heart of England Community Foundation’s Coventry UK City of Culture Fund which awarded Aptitude Youth Work £9,998. The Foundation manages the fund on behalf of the Coventry City of Culture Trust. There were 6 fantastic acts on show performing to a full room Crystal, Ed, Nathan, Ash, Rohan and Kadie all took turns to impress at the packed, intimate, venue. “I’ve been really looking forward to tonight. I’ll be rapping on stage, it’s the second time I’ve done that! It’s cool being on stage. “As soon as they come in our staff sit with them, help them write a song and it’s just practice really! But you can’t rush confidence. 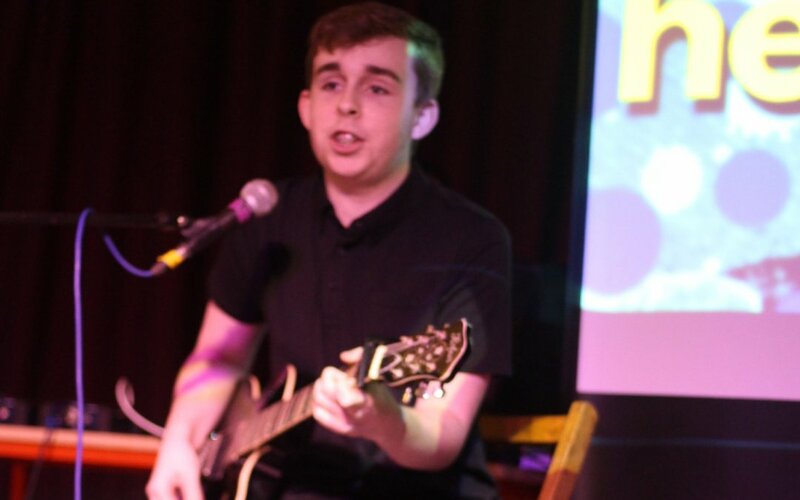 “The performances are guided a little bit depending on what the grant funders require, but young people write lyrics on their own feelings within the topic, ultimately it is about them choosing what they want to perform. “But this, tonight, is the easy part; the hard work is the weeks running up. We know how hard they work and it’s really nice for them to perform with confidence. “I was telling the kids about the Centre, telling them about the history and culture of Coventry, how they used to hold coal in these vaults and now it’s filled by family and friends! To find out more about Aptitude Youth Work and their work, please click here. If you want to do more locally, please click here. FIRST PIC: Ed; SECOND PIC: Rohan; THIRD PIC: Aptitude Youth Work and performers.